On April 17, 2016, Martin Frey became the first person in the world to climb the Seven Summits – the highest peaks on each continent – and sail the Seven Seas. Ever since Martin was a boy, he had a deep love for the outdoors, especially the ocean; his father often took him fishing and at age 10 he purchased a sailboat with money he had made recycling newspapers. As an adult, Martin continued to push himself through endurance sports, competing in numerous adventure races as well as completing several Iron Man challenges. His business career has also allowed him to remain close to both the mountains and ocean – just not at the same time. After working on the East Coast, Martin spent 13 years working in Silicon Valley as a senior director for Cisco and then moved to Utah in 2004 to serve as managing director for the Utah Governor’s Office of Economic Development. There he helped Governor Jon Huntsman create a blueprint and establish a precedent for exponential business growth and innovation in the state. With his success in the private sector, Martin has had numerous opportunities to serve, coach and advise entrepreneurs individuals, college students universities, boards and business leaders. In the mid-2000s, Martin stepped from the business limelight (though he still remains an active angel investor) to pursue his passions for mountaineering and sailing with a singular goal of accomplishing something that had never been done before. It was Martin’s late climbing partner and friend, Steve Gasser, who first suggested he climb all Seven Summits – the highest peaks on each continent – while the two were climbing Denali. Martin was inspired to complete their mission after Steve’s untimely death a few months later. 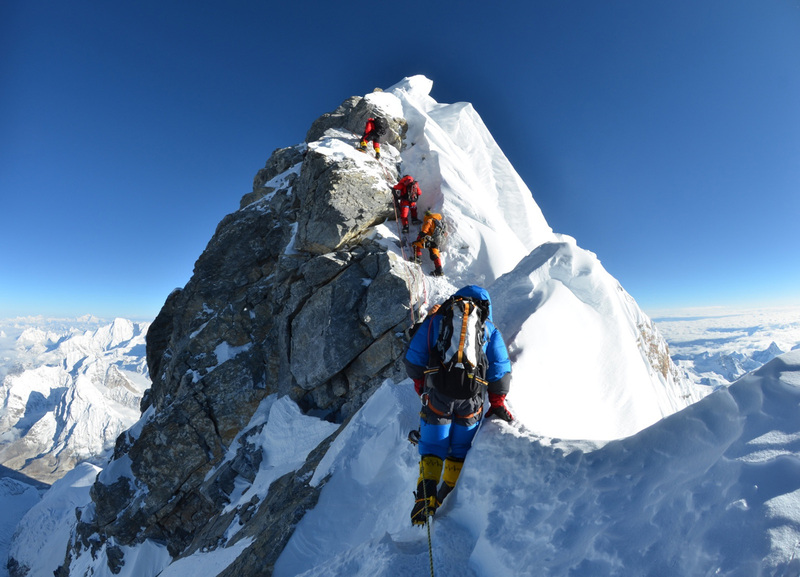 In December 2012, Martin summited his final peak – Mount Vinson in Antarctica. With the Seven Summits completed, the ocean began calling to Martin again. He and his wife Kym had wanted to find something they could do as a family with their severely disabled daughter Lily, but which continued to fulfill Martin’s desire for challenging adventures. This led them to choose sailing. The Freys purchased a sailing yacht, which they named AMARA, and set off together to sail halfway around the world. Their adventures are documented on their blog, Sailing AMARA. Martin then completed his sailing circumnavigation in January 2015 and then joined the EUROPA and Aventura III expeditions to cross the Southern and Arctic Oceans, respectively. To complete sailing all of the Seven Seas, Martin then participated in raced across the North Pacific as part of the Clipper Round the World Yacht Race. in order to complete his unprecedented achievement of sailing all the Seven Seas. His unprecedented achievement was certified by GUINNESS WORLD RECORDS, which acknowledged him as the first person to climb the Seven Summits and cross the Seven Seas by sailboat. Through this 11-year journey, Martin has learned to face uncertainty, adjust his course in the face of challenges, and never compromise his will to accomplish what he set out to do. He has a great spirit of adventure, and demonstrates how an ordinary man anyone can accomplish extraordinary things with planning, a solid support team, a common goal and some calculated risk. While looking forward to whatever his next big adventure may be, Martin hopes to take the lessons he’s learned and use them to inspire youth and adults around the world. By facing your summit, having courage to leave the safety of your harbor, and charting your course for success, Martin truly believes anyone can accomplish whatever they set their mind to. Read more about Martin’s achievements and adventures in the news. This video gives a glimpse into Martin’s experience on the last leg of his journey as he crossed the North Pacific as a part of the Clipper Round the World Yacht Race.